My post today is a little different. No resto or beauty product review today. Nope. Today, I rant. What good is having a blog if you can’t use it to vent from time to time? So, apparently Lego is, like… a thing. A big thing. It no longer just fun building blocks that I used to play with as a kid. It’s a HUGE deal for collectors. I have been noticing Lego is gaining popularity again, with Lego stores and lands popping up all over the place. But, I don’t think I understood its magnitude until now. Did you know that there is an entire site (www.bricklinks.com) that is dedicated to the buying and selling of vintage Lego pieces and sets? It’s the eBay of Lego. I didn’t. I digress; let me start from the beginning. For those who may be reading this and do not know, I am a librarian. Another fun fact that you may or may not know is that a master’s degree is required for librarianship. One of my good friends Suzanne has recently completed this degree (Yaaay, Suze). I heard that there is a new, limited edition Lego librarian, so I thought it would be a cute little grad gift for her. You may be rolling your eyes at this, but I will have you know that both Suzanne and I are proud owners of this little gem. Yeah, that’s how we roll. So, I mosey into the Lego store thinking I can just pick up this little librarian, and be on my way. Except, it doesn’t exactly work like that. 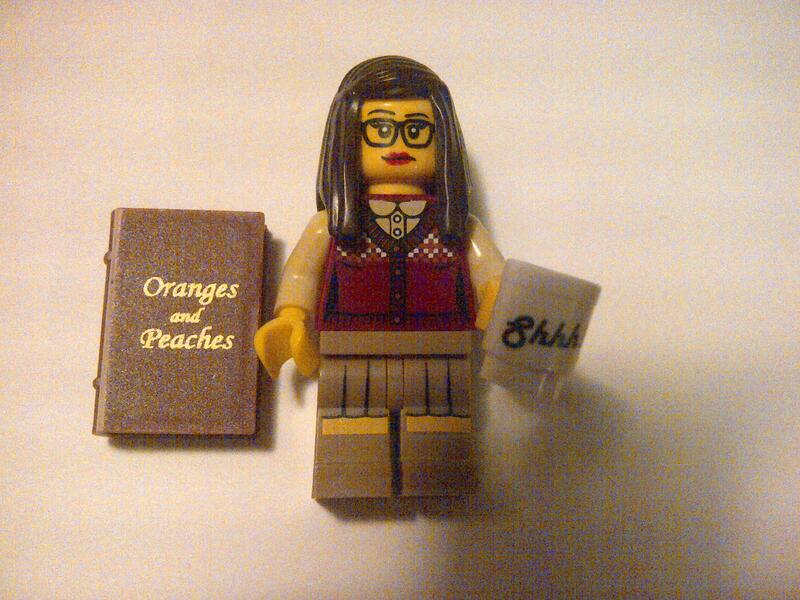 You see, the librarian is one of Lego’s minifigures. 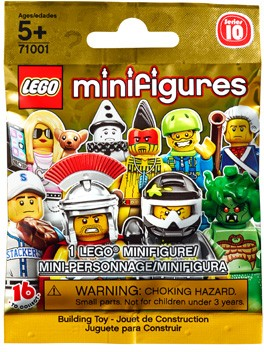 Minifigures are released in series sets that are only available for a limited time. The librarian I was after is part of series 10, only available for a few more weeks. Now, here is the kicker about the minifigures, they come in sealed “mystery bags” So, you don’t know which figure you are getting until you open it. The Lego staff informs be that you can easily feel the bag and try and find the figure you’re after. My librarian gal has a book and a mug, so she should be easy. Each bag is tiny, and the minifigure is even tinier. To make matters worse, the minifigure is in pieces. I ask if the staff can help me. “We are not allowed because of Mr. Gold.” Umm, I’m sorry, who? Mr. Gold, you see, is an extremely rare minifigure released in series 10. Aside from being a collector’s dream, he is also worth about $1000. I do not care about Mr. Gold. I just want to find the librarian. Still, they cannot help. “Feel for the book and mug.” staff suggests. May I also point out that the Grandpa (also in series 10) is holding a mug and newspaper as well? “Don’t worry” says the Lego staff, “the newspaper and the book feel WAY different.” Did I mention that the entire minifigure is only 1.5 inches when put together?! So, for the next 90 minutes I set out on the quest for a librarian. Feeling my way through bag after bag of teeny Lego parts for a miniscule “Oranges and Peaches” book. In case you’re wondering, it is an old librarian joke that someone once came in to a library asking for a book called Oranges and Peaches, when they actually wanted Darwin’s Origin of Species. Hardy har har. I think that past the hour mark, it really became more of a personal mission of mine to track down this little lady. Did I absolutely have to have this for Suzanne? No, but I had come too far to give up. Finally, I thought I felt a little mug and book. I felt around for hair and thought I had it. Otherwise, I’d be gifting Grandpa. So, I purchased the mystery bag and set off on my way. I decided shortly after leaving the store that I would open the bag. Although I would obviously rather gift the unopened bag, I’d be chancing giving the wrong minifigure. I tore into the bag and with great delight saw a teeny argyle vest, spectacled librarian lady (stereotype much?) looking back at me. So really, this is not so much of a rant as it is me sharing my elation at my teeny tiny (literally) Lego victory. I should also note that this post will be published before I actually give my friend her minifigure. So, if you’re reading this Suzanne, ummm…SURPRISE! Lol that’s cute. I know what it’s like to start a mission and get so far it’s not worth turning back evwn though there’s no end in sight. Glad you found the little lady. Such a great story to read this Friday morning!!!!!!!!! So funny!!!!!! Mr. Gold lol!!!! HaHa!!!! I was reading this and thinking oh I want to get a librarian gal but wow what a mess! it sounds like an adventure straight out of a chick-lit! Congrats to Suzanne first and foremost, and what a fantastic present, worth much more than good ol’ Mr. Gold! HurraH! Good luck if you decide to get one. Set aside lots of time, lol! Welcome to my world sis, the feeling up the mini bags, in my case I’m looking for mermaids and princesses, they do the same thing with Playmobile, the bastards. Nothing worse than giving my 5 year old the jungle woman, when she wanted royalty. Who knew? These companies really know how to make the moola, and drive the parents insane! I so loved reading this! I’m glad you found the librarian & Congrats to your friend, Suzanne! Those of us having the privilege to be your friend can all attest to this – you are a mighty good and thoughtful friend Ash! I loved reading this post…and yay for Suzanne! Lego Club? Wow this is all so much more complex than I ever knew…lol!